First of all I must state that this is not intended to be a technical review of this camera. There are plenty of those out on the web and they go in to far more detail than I would ever care to. This is a hands on, how it works in the field kind of review and basically concentrates on whether this camera is any good for street style photography. I was inspired to try this camera out by the work of Vinod Munna, an Indian street photographer (see his work here – http://121clicks.com/showcases/indian-street-photography-by-vinod-munna) who confesses to use one of these amazing little cameras for much of his work. I have to admit my expectations were low. I bought a 2nd hand Sony RX100ii expecting to use it maybe once, then feel the need to sell it on. I have had a couple of Sony point and shoots in the past and found them to be almost unusable due to shutter lag. Read on because this is certainly not the case with the RX100ii. Lets face it this is a point and shoot camera, the type used by tourists, the sort of thing you might buy for your mum and dad when they go on their cruise and capture a few badly framed, slightly out of focus snaps that you have to endure on their return. So when the parcel arrived I unpacked it without the usual excitement that would accompany the arrival of a new camera. Opening the box and picking the thing up for the first time evoked a slight sense of satisfaction. The construction of this thing is solid and it is clearly extremely well made. It feels nice, granted it’s small, a little too small for my taste if I am honest but it has some weight, just enough to feel ‘right’. Immediately I felt like I was holding a quality piece of kit which often means to me at least the camera is over the first hurdle. The controls are minimal, nice! Everything appeared to be in a sensible place so I was happy. This is not a large camera as I have already mentioned so despite the comforting weight it does not sit well in the hand, I felt immediately that I was going to drop it at any time. The clean lines of the construction mean there isn’t really anything to grab hold of. Rummaging through my camera bag I found a Thumbs Up thumb grip which I attached. This transformed the feel of this this beauty and although I did still feel that it might easily slip out of my hand, the addition of the wrist strap made it feel a lot more secure and with the thumb grip it can easily be used with just one hand. With a 28-100 1.8 Carl Zeiss zoom lens this is a versatile little thing. I shoot mostly wide angle so in most cases would leave the lens set to 28mm. After a little bit of playing around with the extensive menu I discovered it was possible to set the control ring on the lens to either zoom in and out, or to adjust the aperture (or many other options). This was awesome as far as I was concerned. Coming from an old school, analogue camera background, where I was used to the aperture ring being on the lens I have never got used to controlling the aperture via the menu or a dial on the back of a camera. Being able to control it via a ‘wheel’ on the lens is a vast improvement. Granted you don’t get the rather satisfying ‘click’ as you move though the aperture settings but at least it’s in a more familiar place. So I set the camera to ‘A’ and headed off into the streets of Oxford. The first thing I noticed was that I felt different with this camera, than with either my Panasonic GF1 or my Fuji X100s. It’s a strange thing to say but I didn’t feel like a photographer, I kind of felt like a tourist. I ‘blended’ in to the hoards of visitors roaming around Oxford on a Saturday afternoon and in many ways I initially felt like a bit of a fraud. However after a couple of hours I began to settle in to my new found anonymity, I felt shrouded in Harry Potters invisibility cloak, nobody noticed me, I could point my camera at anything and anyone and nobody cared. For street photography this is of course a huge plus. I fired off frame after frame. The camera was responsive and almost completely silent (I subsequently found you can have it set to make a sound if you like). The back screen swivels allowing me to shoot from very low angles and easily see what I am going to capture. The one gripe I have with this camera is more related to a manufacturing fault with me, rather than any issue with the camera. I wear contact lenses and therefore although I have 20/20 long distance vision, close up is a problem. This always causes me a problem with cameras without viewfinders. The later model of the RX100ii, the RX100iii has a viewfinder so watch out for a review of this later model sometime soon. After a long day shooting I eagerly returned to my office and inserted the memory card into my Mac with some trepidation. I expected the shots to be good, but clearly not up to the usual standard if I had been shooting with a ‘proper’ camera. I was absolutely staggered. The images that come out of the RX100ii are outstanding. They are sharp as a tack, colours are vibrant and the bokeh almost as good as if I was shooting with my Leica lens. In short this camera is awesome. In the past I have not been the kind of guy who always carries a camera. Mainly because unless I go specifically to shoot street photos I really don’t want the weight around my neck. I often see photographs on my travels and regret not having a camera with me to shoot them. Having discovered this little gem, which fits easily into my pocket it’s highly likely that I will carry it pretty much wherever I go! 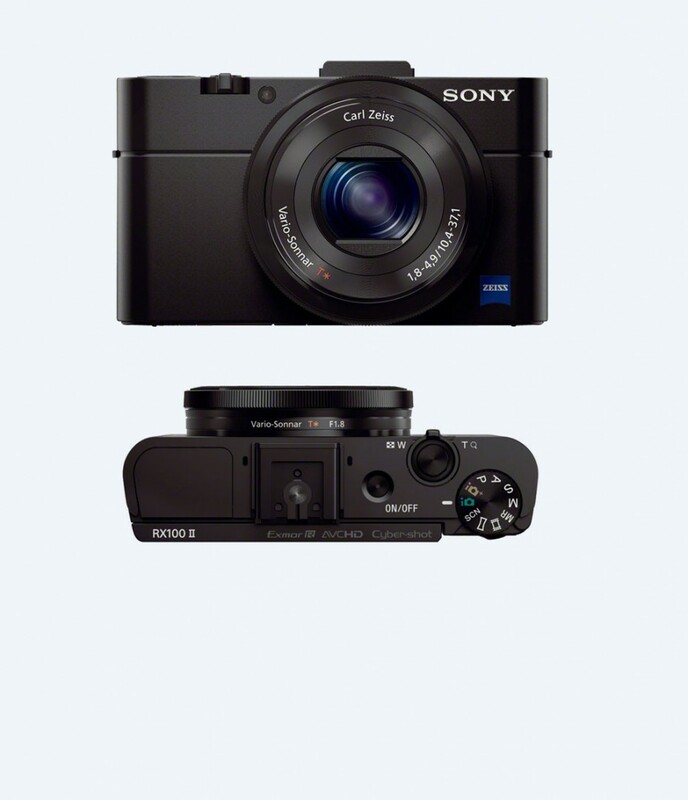 Sony RX100ii – Highly recommended. Everyone should have one!